Home > Blogs / Op-Ed > What is Happening to American Jewish Organizations? What is Happening to American Jewish Organizations? I have been active with my local Jewish Federation, Jewish Community Relations Council (JCRC) and Israel Advocacy Committee for the past 25 years. 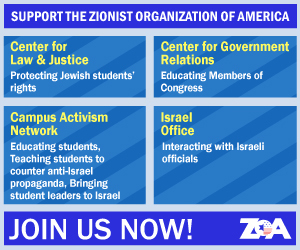 I am hawkishly pro-Zionist and pro-American — which has made me a minority in these organizations. Despite their good intentions, these groups have lost sight of their true mission and purpose, and have abdicated their responsibility to defend Israel and the Jewish people. Don’t get me wrong — I support the many good works that the federations do for the community, for its poor, infirm and hungry. And I understand that the JCRC’s primary mission today is to build bridges to outside communities. But, unfortunately, our leaders are increasingly operating in an echo chamber of political correctness and therefore putting themselves — and our people — outside of mainstream America. While there is general agreement that this second executive order is less problematic than the original, the majority of national Jewish organizations remain concerned that it continues to restrict the entry of refugees from Muslim-majority countries and is a direct challenge to America’s “nation of immigrants” narrative. The order also continues to conflict with core Jewish values of acceptance of strangers and providing a safe-haven for individuals who have been forced to flee their homes because of exclusionary and inhumane practices. I immediately contacted the JCRC staff to express my concerns that this text failed to mention even higher Jewish values: sacredness of life, self-defense and collective national security. The whole notion of welcoming the stranger sounds very appealing — but that doesn’t mean welcoming any immigrant, regardless of what their intentions are or where they come from. The Torah is not a suicide pact. Indeed, I mentioned that it was the Obama administration that compiled the list of seven (now six) countries that are hotbeds of terrorism. Moreover, what the JCRC and the media ignore is a recent study that revealed there have been 72 convictions for terrorism-related offenses of individuals from these particular countries since 9/11. Remember, terrorists only have to be successful once, while we have to stop them 100% of the time. It is presumptuous to believe that we will be able to do that. Then I posed specific questions: Is the JCRC/Federation for “open borders?” Is it for unlimited immigration with no restrictions? More importantly, I pointed out that there had been no discussion or vote by the JCRC board before this document was released. The response I received merely said that this “Backgrounder” was informational, and therefore that no vote or discussion was necessary. I am not against legal immigration per se, and I fully appreciate that Jews have been welcome in this country as immigrants. But if we don’t at least acknowledge what most Americans see — that unrestricted immigration of people we cannot vet (and who may harbor anti-Semitic and anti-American attitudes) is dangerous and reckless — then our community is going to pay a terrible price and ultimately be sidelined. The point here is not to debate the political merits of Trump’s proposal, but to ask why these Jewish groups need to be political at all. Our JCRC/Federations are giving lip service to the fact that they are inclusive of the panoply of views in our diverse Jewish community. But in reality, that’s not the case. If we do not oppose this Jewish communal leadership groupthink, we seriously risk alienating ourselves from our pro-Israel allies — and America at large — in order to appease our virtue and guilt. This article was published by Algemeiner and may be found here.